Well, folks, Katy Perry was awesome. Did I have any doubt?! I wish I could've captured in photos what it was like to be there. She is even more talented, beautiful, and charming live. 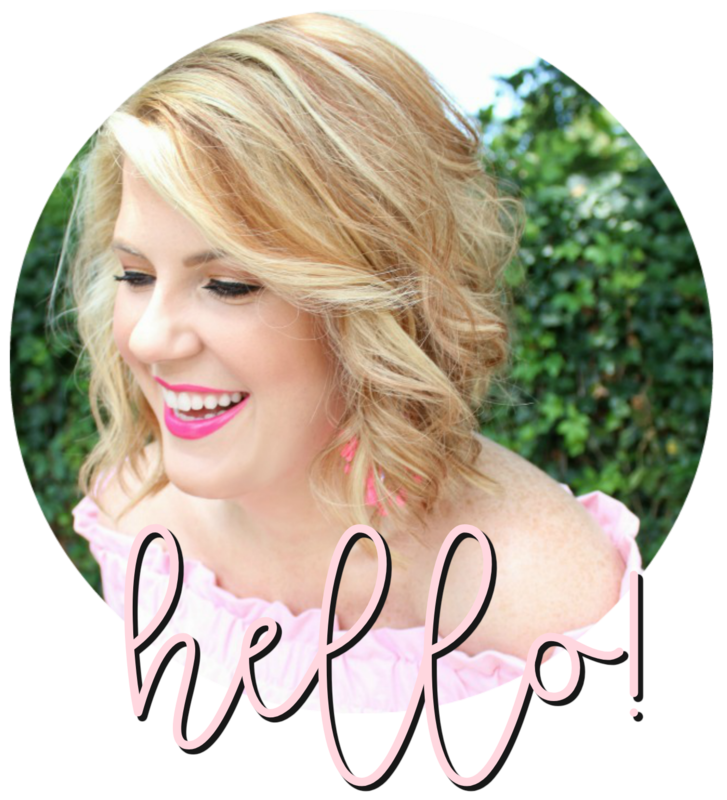 She made you feel warm and fuzzy and have a strong desire to want to be friends with her. She's absolutely lovely. While the concert may have been the reason for the weekend trip, there was another huge highlight. I've been a fan of Jamie Meares and her store Furbish for quite some time, so a trip to Raleigh wasn't going to be complete without popping into the brick-and-mortar location for my first visit. I came home with several little trinkets including this pineapple print, this Diana Vreeland quote, some striped candles, rainbow fringe garland (that really needs to be in all caps! ), and this tassel necklace that my mama bought for me. The photos here are just a few I snapped with my phone while browsing yesterday. It's one of those stores that you need to do a walk-through first and take everything in and then start over with a purpose. It was everything I imagined it being and is causing a decorating itch that may need to be scratched. . . 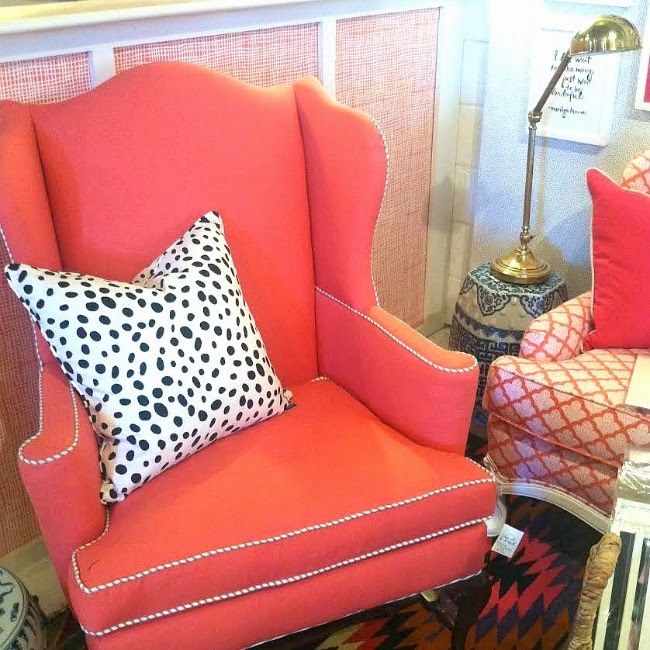 I loved this combination - the chair was a beautiful coral trimmed in a striped piping. 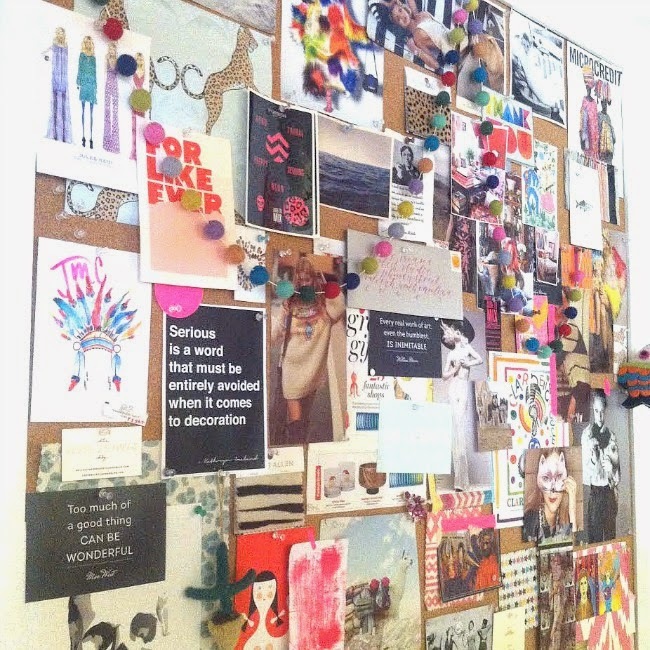 The Furbish Studio inspiration board was bursting with colorful ideas - I want to recreate this idea in my office. 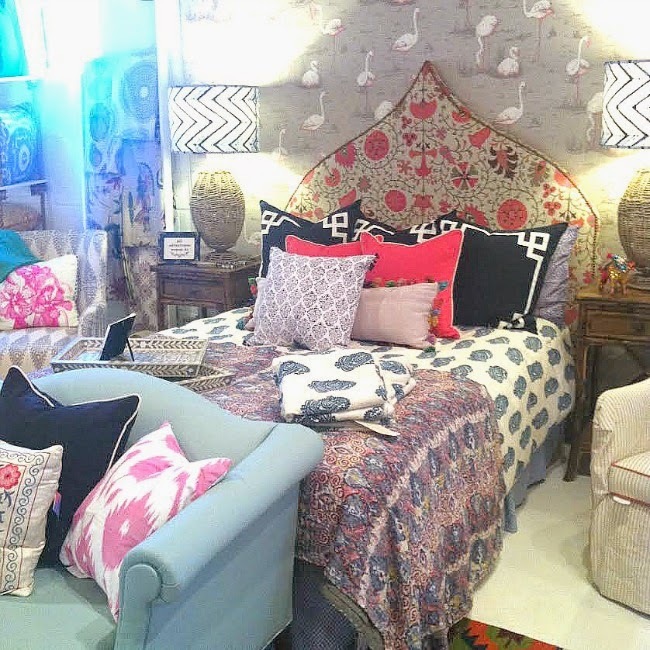 Even after seeing it in person, I'm still amazed how the Furbish team dreams up the beautiful mixtures of colors, fabrics, and prints. 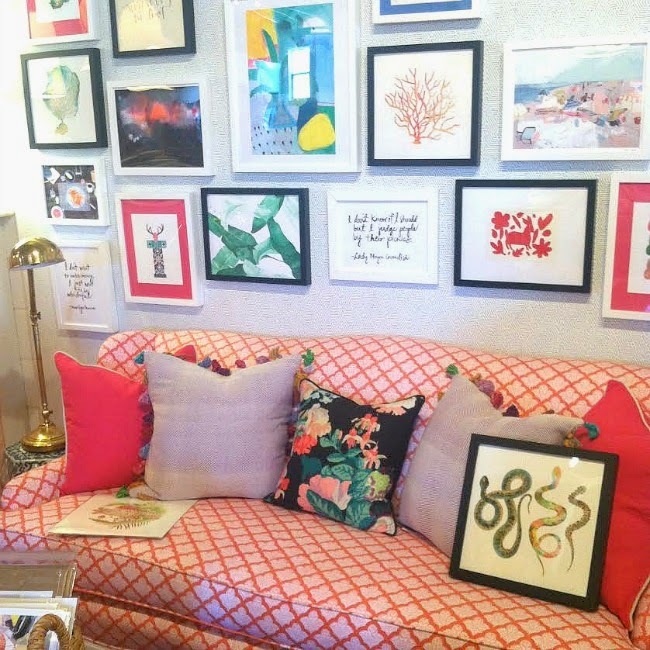 This is the gallery wall to end all gallery walls. Two of those coral chairs were placed on either side of this one-of-a-kind couch. 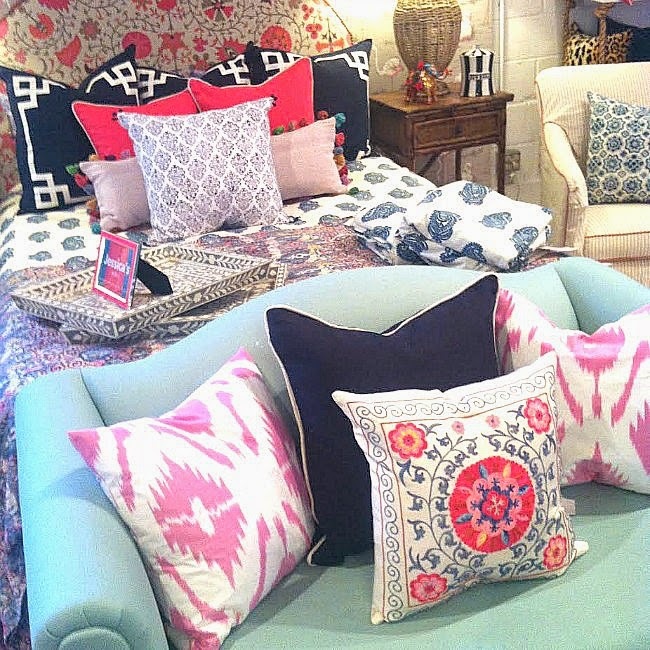 How lovely is that combination of pillows?! Ugh that store is to die for!! 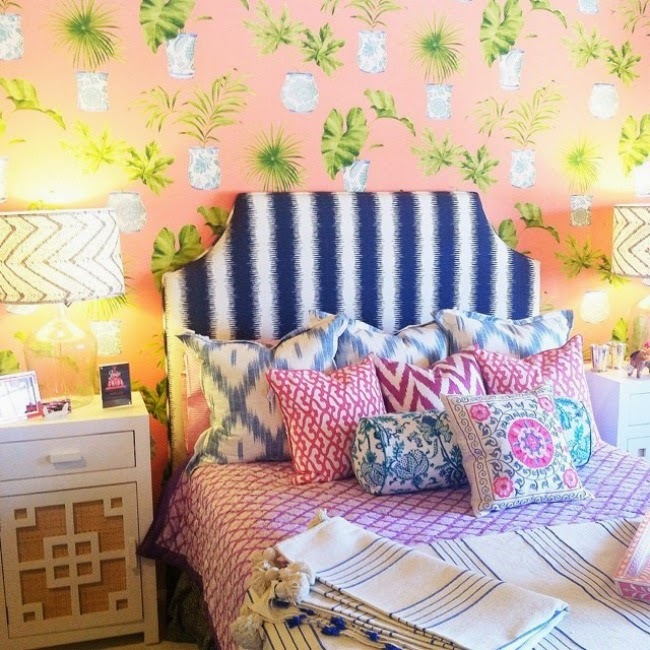 How amazing... love pattern mixing! The furniture pieces are fantastic! Thank you for the tour! i'm SO glad you came - and your pictures are just amazing! thanks for posting them!